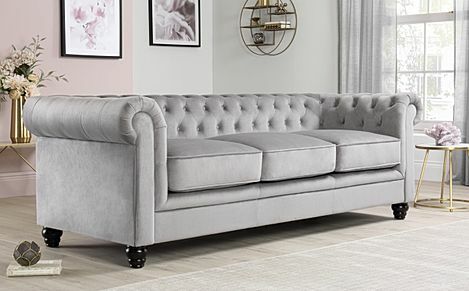 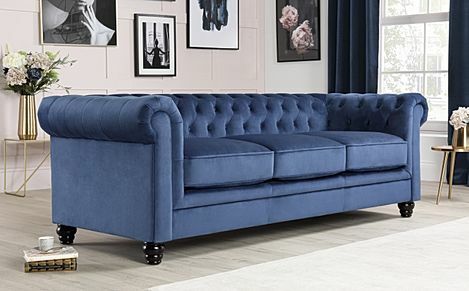 Bold, contemporary style – fabric Chesterfields have all the traditional features you expect from a design classic, with an upholstered twist. 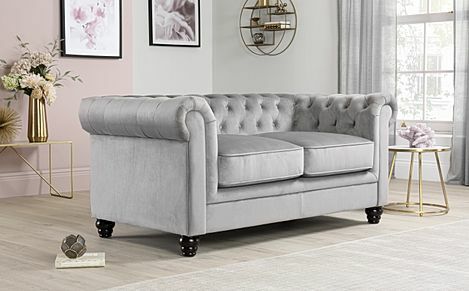 Our stylish, crafted fabric Chesterfields have the elegant scroll arms, deep buttoned backrests and solid, turned wooden legs you expect from a classic. 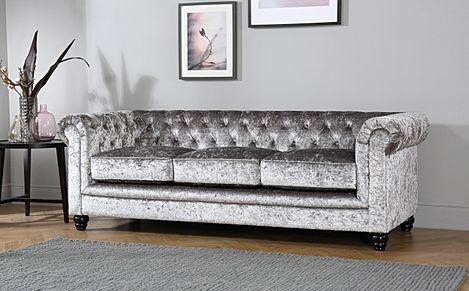 Yet a choice of contemporary fabrics make them even more versatile, even more fashionable, and even easier for you to transform any space. 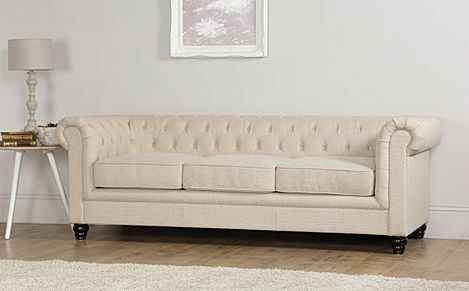 Here at Furniture Choice, we have a great selection of sofas in both modern and traditional styles. 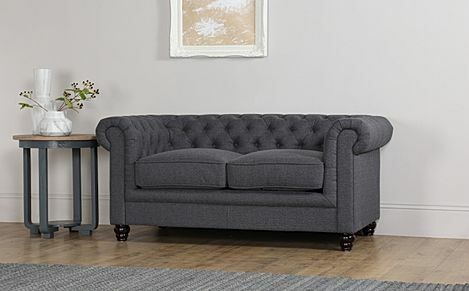 And with fast and free delivery to most addresses in the UK, you'll be relaxing on your new sofa in no time. 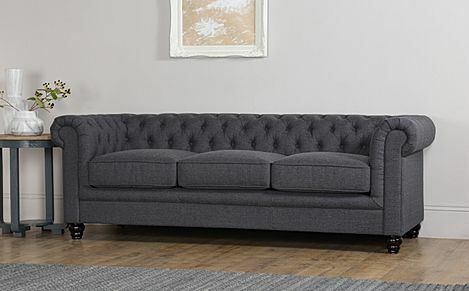 Available in different sizes and configurations, there's a sofa here for every home. 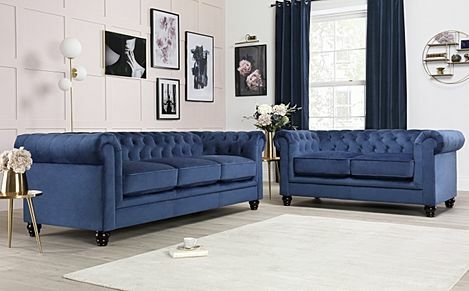 Browse our sofa collection that include comfy 2 seater sofas, to sumptuous recliner armchairs and fabric corner sofas that double down on comfiness and relaxation. 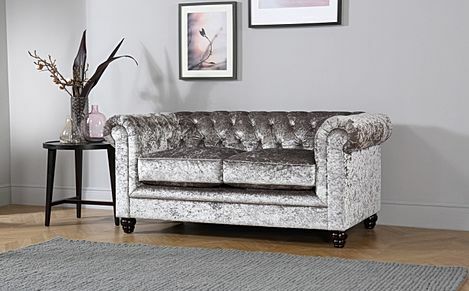 You can also check out our different finishes for a sofa that suits your preference and home. 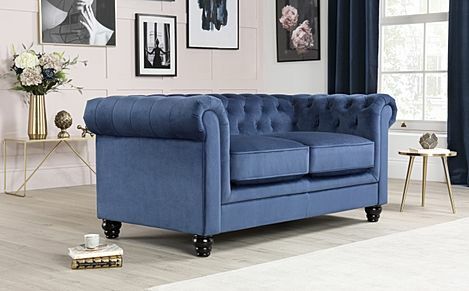 Go for a luxurious, tailored look with a leather sofas, or show off its classic tufted details with one of our stylish velvet sofas instead. 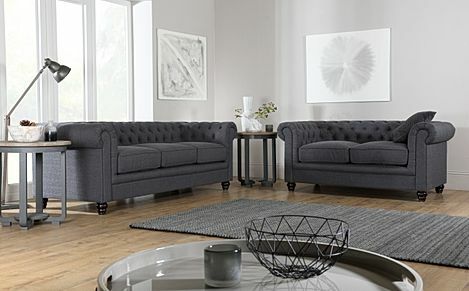 Once you've chosen your sofa, select your payment method of choice before choosing a delivery date at checkout.